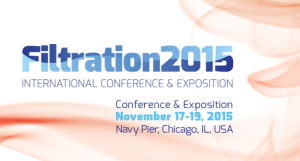 Cary, NC – Aug. 24, 2015 – INDA’s Filtration International Conference & Exposition will feature a view of future filter media requirements by a leading industry expert when the industry’s premier event makes its return to Chicago’s Navy Pier Nov. 17-19. INDA expects more than 130 exhibitors and 1,500 attendees to attend this singular event for professionals involved in the air and liquid filtration business. Among the topics that will be discussed by leading industry experts at the newly formatted one-day conference on Nov. 17 are: North American filtration forecasts, statistics, and recent mergers and acquisitions; cabin air filtration; water purification; electrospun membrane filter media; and particulate matter 2.5 removal. New program highlights include: Nanofibers in Filtration: Beyond F9, Beyond MERV 15, Beyond Surface-Load and Pulsing by Fred Lybrand, CEO of ELMARCO, Inc.; and Pleated Filter Media as a Direct Replacement for Filter Bags by Jack Clements, Principal, SF Air Filtration. In addition, INDA is offering premium educational content with the co-location of its Nonwoven Filter Media Training Course, Nov. 17-18. Led by Christine Sun, Ph.D., Principal, Filtration Technologies International, Inc., the one and a half day training course will cover everything from the principles of filtration to market and technology trends. A welcome reception will be held the evening of Nov. 18 after the first day of the exposition. The networking exposition will be held Nov. 18-19, providing industry participants from around the world and across the supply chain the opportunity to connect with decision makers. 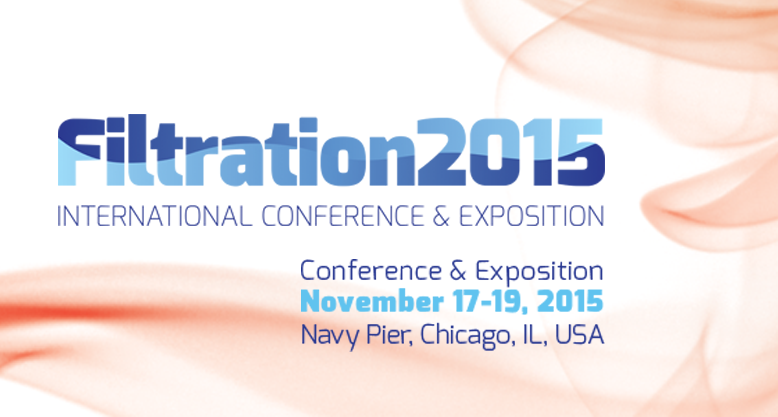 Registration is open for both the Filtration International Conference & Exposition and Nonwoven Filter Media Training Course, at the new website at http://www.inda.org/events/filt15.